I need a guidance for fabric sourcing. I want to source fabric for my custom clothing business for men but I don't know where to start. I am looking for High Quality fabrics for shirts, suits and trousers. If you are not a newcomer, you already know that for making shirts, suits, and trousers you need woven fabrics. The woven fabrics are available in various designs, in various fabric constructions and fabric names. When you are referring the high quality or good quality woven fabrics, you need to define the quality standard which is good quality to you or for your custom-made clothing. I can understand it is a difficult task to know and find the fabric parameter values. For this, you need to take services from a testing lab. Although some of the parameters can be measured by yourself if you learn the testing procedure. It seems a lot of tasks, to know the fabric quality. Yes, it is. If you don’t want to go through these steps, you need to trust the fabric supplier for fabric quality parameter, which not a good practice in fabric sourcing. As a consumer, in a garment we look for fabric colour, design patterns, brightness, its texture and its hand feel. Additionally, take care of the fabric weight and fabric manufacturer (brands). When you are making fabric stock/inventory for the custom clothing you need to look at these factors first and then the fabric quality parameter as listed above. All fabric parameters can’t be assessed by visual inspection and hand feel. For such quality parameters, you need to perform fabric testing. 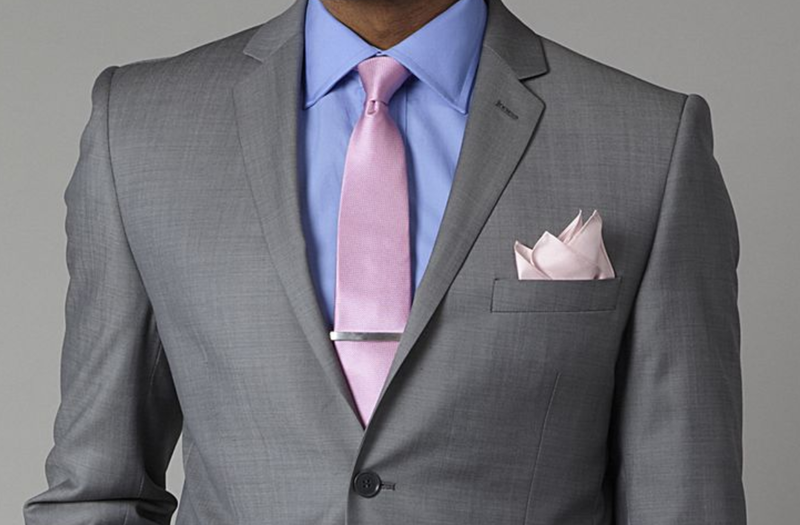 As you are starting small, better to go for the branded shirting and suiting fabrics. By selecting brands, you can save money on fabric R&D and fabric testing expenses. For your guide, here I have listed fabric names based on the fabric construction, those are used for making a quality shirt. Develop your fabric library or database accordingly. You can start with the selected fabric range. Know how many meters of cloth is required for making a shirt. Want to know more about the fabric? Visit this page. Trouser fabrics are available in diverse colours and patterns. It would be a good idea for purchasing trouser fabrics from well-known brands such as Raymond, Siyaram, Grasim, Vimal etc. Fabrics should be made using high-quality yarns. Additionally, it should be noted that easy-to-wash trouser fabric is preferred by office going professional for its attributes like soft texture, shrink resistance and colour fastness. Suiting fabrics available in various quality, like poly viscose, poly wool blends and pure wool. Raymond is a trusted brand for suiting fabrics having a wide variety of fabric designs and textures against various quality parameters. Have you yet decided the fabric standards that you like to use in your custom-made products? If you are at the initial stage of the business setup and looking for a guide on how to decide the fabric standard for your products, follow these guides. There is two way of deciding fabric standard. (1) Set fabric quality standard from the available fabrics and (2) Develop fabric according to your requirement considering necessary the fabric quality parameters looking the season and occasion when the products will be worn by the customer. There are already thousands of fabric designs and colours available in the fabric shops. First, you need to decide your product quality and price ranges that you want to deal with. Explore the fabric market and visit as many shops as you can and choose the fabrics that you like and set your standard of fabric quality requirement. If you like you can explore the international fabric market, especially China. Collect fabric samples from the fabric shops. Prepare the fabric sample card from your collection. The best way is, study the fabrics of well-known brands’ shirts, trousers and suits. From that study, you will understand what customers’ preference would be when they come to you for custom-made clothing. You can follow their standards at the start. If you know fabric quality parameters and have an idea what parameters would be good enough for your products, set it as your standards. Then get the fabric developed by a fabric manufacturer for the new fabric design. Or buy the fabrics that match with your standards. This way you can get the desired fabric though it is a long process and costly for a small business setup. Now you got enough idea about fabric standards. Prepare fabric swatch card for your new development and collection. The benefit of developing swatch card is you don’t need to purchase all the fabric inventory in advance, instead, you can show your customer the fabric cuttings or sample. Once you get an order you can purchase the fabric according to your customer choice. When you need to purchase fabric, just follow the sample /standards. You can even develop a digital fabric library and show the digital sample to your customer. At this stage, you know the fabric quality, you have a fabric library. Now you know where you can get the desired fabrics. Next step - explore the fabric markets across the country and check the price of the fabrics. Go for the competitive price and availability of fabrics. In India, you can get many good quality fabrics if you go for branded fabrics. You can purchase most of the fabric quality from the well-known brands' shops. However, you should explore alternative suppliers/agents for different quality of fabrics. In custom-made fabric, you need a small quantity of fabric but a wide range of fabric design. I have shown you a couple of ways to find quality fabrics and sourcing method. Don’t get overwhelmed with all these notes and information. Start the first step. Setup your business with small fabric library. Later increase your fabric library and variety in fabric quality as you move forward. Keep exploring new developments in fabrics. And you don’t need to develop any new fabric design/quality. You can run and continue your business with the existing fabric quality with good fabric brands. 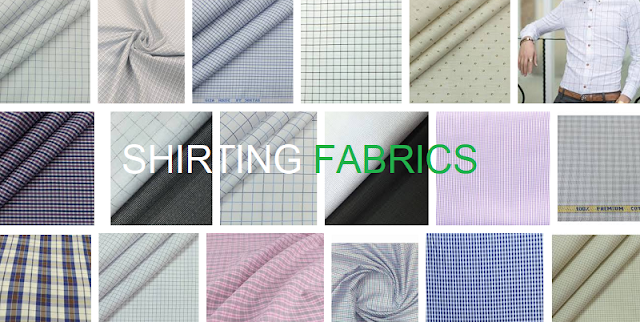 High-quality shirting fabrics, fabric souring procedure for custom-made shirts, trousers, suits manufacturing.